You would never build a home without blueprints, permits and consulting the needed experts to make sure the home would be a safe and viable space. The same should be true for app development! By jumping into construction before the development of a plan, you open yourself and your app to a wide range of obstacles and the potential for failure. It’s baffling to see this happen, but unfortunately it still does. 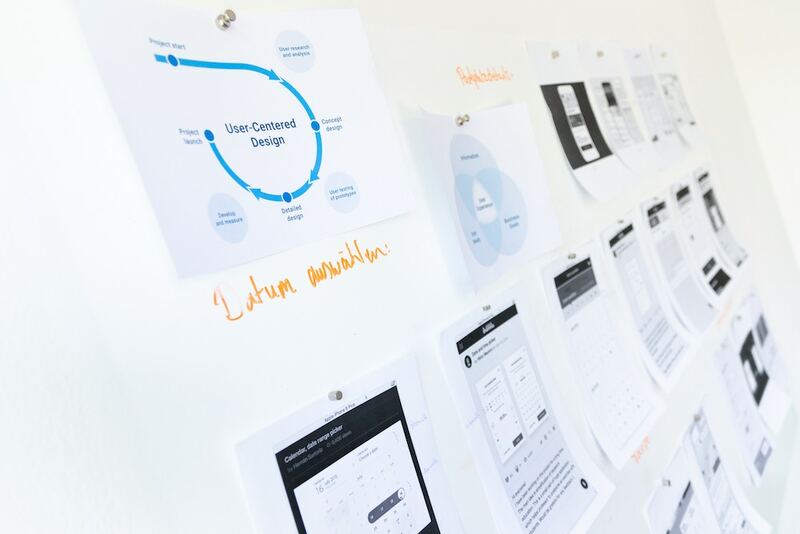 In the world of rapid prototyping, it’s essential to have a solid plan of attack – a thorough and vetted blueprint, if you will – to see each project through successfully. Pitch to investors. Raise money. With a detailed plan, you’ll be able to pitch your early-stage concept to seed round investors, creating interest and reducing the amount of money you need to put out up front on your own. This is a critical step and reduces risk on your end. Plus, with the money raised, you’ll know exactly what you can afford, so when you get quotes from developers, you’ll know which will fit within your budget. Designing first allows you to also develop a website which is an indispensable tool when it comes to building interest for your new app. If you create your website before diving into development, it will help you with the above-mentioned pitching to investors and raising money, as well as building a community prior to launch (more on that next). A website shows that you’ve got a solid idea and it gives you the opportunity to show off your designs to anyone interested in learning about your app. That website you just built? Use it to let people know you’re coming soon, and start building interest and excitement around your new app. This will help ensure you have a strong start at the time of launch with a potential pool of first adopters. A community is also a good resource providing an avenue to reach out to those in your community that would most likely use your app. Ask for their help and get their honest input. Maybe you’re missing a key feature that everyone wants, or perhaps the user interface is confusing. Get this UI/UX information now so that this valuable feedback can be easily included in the design. With a solid plan and the needs of your new app laid out, the app will be executed more efficiently, saving you months of wasted time. You’ll already have thought of and overcome any roadblocks in the design or functionality, so there won’t be any surprises. Additionally, with the parameters already honed, you’ll know if everything is feasible before starting, since you’ve already thought through everything that needs to take place to make your app work. Are there any security or privacy concerns? What about support once it’s done? You’ll have already tackled these questions, so they won’t hold up or set back your development. Time is money, and truer words have never been spoken when it comes to development. The more time the developer spends, the more money it will cost. With a thoughtful plan, developers will know exactly what you need. You’ll receive more accurate project estimates by providing a list of fully visualized requirements. You’ll also reduce the likelihood that certain items will have to be revisited or redeveloped. The cost of these types of setbacks can really add up! Of course, there’s usually something unexpected, but with a solid plan and an accurate estimate, you’ll reduce the chance of it being a budget buster. Planning your app before heading to development is a vital step to ensuring success. Creating this blueprint will allow you to efficiently build your app with the best strategy available and reduce risks that could arise. Even after knowing this, some people still choose to skip the design step and dive right into development. Don’t be one of them – optimize your outcome with a plan!